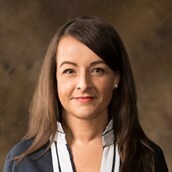 Angie Maxwell is the Director of the Diane Blair Center of Southern Politics and Society and is the Diane D. Blair Associate Professor of Southern Studies in the Political Science Department at the University of Arkansas, Fayetteville. 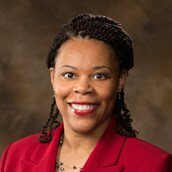 She received her Ph.D. in American Studies from the University of Texas, Austin, and is the co-chair of the Politics and Policy Caucus of the American Studies Association. She is the author of The Indicted South: Public Criticism, Southern Inferiority, and the Politics of Whiteness (University of North Carolina Press, 2014) which won the V. O. Key Award for Best Book in Southern Politics. She is also the co-editor of Unlocking V. O. Key, Jr.: Southern Politics for the Twenty-first Century (University of Arkansas Press, 2011) and The Ongoing Burden of Southern History: Politics and Identity in the Twenty-first Century South (Louisiana State University Press, 2012), and the editor of the new edition of Ralph McGill’s A Church, A School (University of South Carolina Press, 2012). Her articles have appeared in Southern Cultures, Presidential Studies Quarterly, the Journal of Black Studies, American Behavioral Scientist, Race and Social Problems, Politics, Groups, and Identities, Social Science Quarterly, and The Southern Quarterly. She is currently working on a new book, entitled The Long Southern Strategy, for Oxford University Press. An accomplished educator and researcher, Shields has published dozens of journal articles and is the co-author or co-editor of several books, including The Persuadable Voter: Wedge Issues in Presidential Campaigns, which won the American Political Science Association’s 2009 Robert E. Lane Award for the best book in Political Psychology. He is the co-author of Unlocking V.O. Key Jr.: “Southern Politics” for the Twenty-First Century as well as co-editor of The Clinton Riddle: Interdisciplinary Perspectives of the 42nd President and New Voices in the Old South: How Women and Minorities Influence Southern Politics. In spring 2000, Shields proposed creating the Blair Center of Southern Politics and Society in honor of Diane D. Blair’s 30 years as professor of political science at the university as well as her contributions to research, teaching and public service. The center was funded through a special Congressional appropriation in 2001. The center has financially supported graduate students, important regional polls, meetings, conferences, projects and most recently the national Blair Center poll. Pearl K. Dowe is an associate professor of political science and an affiliated faculty member of the African and African American Studies Program. She earned a B.A. in political science from Savannah State University and her Ph.D. in political science from Howard University. She has published numerous articles and book chapters that have appeared in journals such as the Journal of African American Studies, Political Psychology, and, Presidential Studies Quarterly, Journal of Black Studies and Social Science Quarterly. She is currently researching political attitudes, behaviors, and campaign challenges of African American women. Her most recent book, co-authored with her mentor, the late Hanes Walton, Jr. and Josephine Allen, Remaking The Democratic Party: Lyndon B. Johnson As A Native-Son Presidential Candidate is forthcoming fall 2016 from University of Michigan Press. She currently serves the discipline as Co-Program Chair for the 2016 National Conference of Black Political Scientists Annual Conference and a member of the Southern Political Science Association Executive Council. 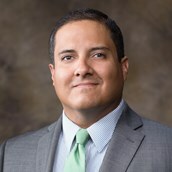 D. Xavier Medina Vidal (B.A. Economics and Spanish, Chicano Studies minor and M.A. Political Science, University of New Mexico; Ph.D. Political Science, University of California-Riverside) is the Diane D. Blair Professor of Latino Studies and an Assistant Professor of Political Science. His research and teaching interests incorporate elements of Latin American and US Latina/o Studies with a focus on questions related to identity, institutions, and transnationalism. His areas of expertise in US Politics are Hispanic/Latino political behavior, Spanish-language media, and immigration politics. His areas of expertise in Mexican Politics are legislative and subnational politics, and parties and elections. His research has appeared in Electoral Studies, State Politics and Policy Quarterly, Latin American Politics and Society, and Political Research Quarterly. 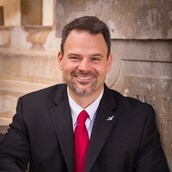 Among his current projects are studies of the effects of home-country media use on Latina/o immigrant participation in the US, the role of social media in the development of Latina/o/Hispanic identity, the effects of immigration politics on Latina/o participation in the US South, and the role of state legislatures in the federal policymaking process in Mexico.